Schools are open again and students are receiving their reading lists. Why not create a reading list – and perhaps a book club—for yourself, some friends or professional colleagues? Travel. Read about a place or culture that is very different from your own. This may be a classic, such as Growing Up in New Guinea by Margaret Mead or a current travel book. It can be fiction if it is well researched. What do you learn about the country and its people and culture? What insights do you gain about culture? Mystery. My favorite mystery writer is Tony Hillerman because his stories involve Native American culture in the Southwest. Choose any mystery writer, from a classic like Agatha Christie to someone more current. How is the mystery solved? What do you learn about solving mysteries or problems? Science fiction. Choose a classic, like ones by Jules Verne or Aldous Huxley. Read 1984, Star Wars or Frankenstein. Check out modern sci-fi books. How does thinking about the future help you to think about the present? Shakespeare. Choose either a tragedy (for example, Hamlet, Macbeth, King Lear) or a history (e.g., Richard III). What does the play tell you about human relationships? American fiction classic. Here the field is wide-open, from 18th and 19th century writers like Hawthorne or Twain to 20th century writers such as Faulkner, Hemingway, Steinbeck or Vonnegut. What can you learn about American history and culture from the book? About relationships and organizations? American history. Read anything from the founding of the U.S. to the late 20th century. Undaunted Courageby Stephen Ambrose is a wonderful story of the Lewis and Clark expedition to the Northwest. Recently published, Killing Lincoln has received positive reviews. Biography or autobiography. Choose someone you have heard about but don’t know much about: Alexander the Great, Benjamin Franklin, Malcolm X, Thomas Jefferson, Winston Churchill for example. 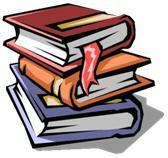 There are current biographies of Patton, Steve Jobs, the Wright Brothers and Theodore Roosevelt. Philosophy. Choose a classic (Aristotle, Plato), a 20th century philosopher (Sartre, Kant, Tillich) or an overview of philosophy. A readable overview of philosophy is Plato and a Platypus Walk Into a Bar. How does a particular philosophical viewpoint speak to how you do your work? Foreign books. Choose a book that has been written by a non-American author. Cry the Beloved Country and A Man of the People are from Africa; the Good Seed is set in China; Don Quixoteis in medieval Spain and Ivan Ivanovich is in Russia. These are classics. However, there are many current books written by foreign authors and set in another country. Two set in Afghanistan are The Little Coffee Shop of Kabul and The Bookseller of Kabul. What can you learn about the U.S. and American culture by reading about another culture? Children’s books. From Seuss, to Roald Dahl, to E.E Milne, there are outstanding children’s authors whose writing for the younger set also speaks to those older than 21. What does The Cat in the Hat say to you about people in organizations? You will be amazed at how much you can learn by adopting a child’s viewpoint. Current best-seller. This can be fiction or nonfiction. The only requirement is that it is being discussed in public forums or media. Just for pleasure. No doubt, there is a book you love or perhaps one you read years ago. Share that pleasure with others. Read a book whose author has been in the news recently. Oliver Sacks, who died in August, is best known for books like The Man Who Mistook His Wife for a Hat and Awakenings. The latter was also a movie. The above list is meant to encourage you to think broadly about your work, your organization and your profession. Some of the major corporate leadership programs include non-business and non-leadership reading as a way to expand their managers’ perspectives and encourage creative thinking. Just deciding on what book to read is a journey! The goal of your reading program is to expand your mind, find new ways to see the world, understand human relationships and think about problems. In the end, the books you have read should help you think about “doing” public administration more effectively. You will probably rediscover a love of reading. Only a few titles have been proposed. They are examples only, not identified as the “best.” Suggestions for books to add to the list are welcome! And since some great books also are movies, you may choose to interweave reading and movie watching. Have a great 2015-2016 reading year! Enjoy.